When you think of a farm, do you imagine a farmer milking a cow by hand, or planting seeds in a row? While it’s true that some farmers use time-honored methods to farm, others are embracing technology to improve productivity and profitability. Nearly 3 million acres in Kentucky and 50 million acres across the United States contain a naturally-occurring soil layer called a fragipan. This cemented, silt loam soil found 20 to 24 inches below the surface stops water movement and root growth, which can reduce crop yields. How do you make a seedless watermelon? Seedless watermelons were invented over 50 years ago, and they have few or no seeds. When we say seeds, we are talking about mature seeds, the black ones. Oftentimes, the white seed coats where a seed did not mature are assumed to be seeds. TreeSnap, new phone app developed by the University of Kentucky Forest Health Research Center and the University of Tennessee Department of Entomology and Plant Pathology for Android and iOS cell phones is designed to connect scientists with foresters, landowners and interested citizens in an effort to protect and restore the nation’s trees. As if owning and operating eight chicken barns wasn't enough, Campbellsville farmer John McLean is turning waste into wattage–literally. McLean owns two very different anaerobic digesters. Anaerobic digestion is a series if biological processes in which microorganisms break down biomass in the absence of oxygen. One of the end products is biogas, which is combusted to generate electricity and heat, or can be processed into renewable natural gas and transportation fuels. Like generations of Kentucky producers, Hodgenvile farmer Ryan Bivens, '01, has relied on UK CAFE experts to help him make unbiased decisions to improve his grain operation. He sees the Grain and Forage Center of Excellence as an important way UK can help producers solve new challenges. Jacqueline Smith, PhD '12, epidemiologist at UK's Veterinary Diagnostic Laboratory, has created digital maps of reported rabies cases in Kentucky. Smith is putting to use the knowledge she has acquired as an epidemiologist and in her studies in geographic information systems, or GIS mapping. David McNear studies the rhizosphere-the area where plant roots, microbes, and soil interact. With a $500,000 U.S Department of Agriculture grant, he is exploring how phosphorus moves through the rhizosphere in a no-till cover crop system. As discussions about the 2018 Farm Bill begin around the country and on Capitol Hill, Title VII, specifically known as the Research, Extension, and Related Matters Title, will not likely get much attention outside of the agriculture arena. A University of Kentucky entomologist is using a social media platform to help producers cut down on unnecessary insecticide applications. Ric Bessin started the Facebook page Swdinky to help growers monitor and potentially treat for the spotted wing drosophila, a fruit fly that can destroy soft-skinned, small fruit including grapes, raspberries, blueberries, blackberries and strawberries. High tunnels are a low tech version of more elaborate, and expensive, greenhouses for production of produce crops. Dr. Shubin Saha, UK extension vegetable specialist says this form of “protected agriculture” is expanding, giving consumers more variety of products in more months of the year, and providing premium income for producers of these crops. From fighting the spread of resistant weeds to more effective use of chicken litter as a fertilizer source, the Ky Soybean Board works with UK researchers each year to help fund their work on methods and practices to improve efficiencies on the farm. The board’s Davie Stephens of Hickman County is featured. A feature report with the 2016 Farmer of the Year in Kentucky, Mike Bach of Bath County who has a 2,500 acres operation focusing on cow/calf production, field crops, peaches and asparagus. Bach talks about the tremendous advances in ag production through GPS technology and how it can assist in environmental protection and increase the bottom line. It’s common knowledge that plants grow up from the ground, supported by a root system, but until now scientists were unable to understand how that process starts during fertilization at a cellular level. An international team of scientists that includes a University of Kentucky researcher has visualized how the fertilized egg cell divides unequally after fertilization. There is perhaps no other area in the agriculture industry more demanding than the dairy sector with a seven day work week and many operations running 24 hours a day. The way tall fescue and its fungal endophyte react to future climate change will depend on the genetics of each organism, according to researchers in the University of Kentucky College of Agriculture, Food and Environment. Faced with a pathogen, important signaling chemicals within plant cells travel different routes to inform the plant to turn on its defense mechanisms, according to a recent University of Kentucky study. While there are some methods of farming that have changed little over the years, such as in tobacco production, there is no doubt advanced technology is changing the way producers grow their crops even in those Kentucky tobacco fields. A bill proposed by Senate Ag Committee Chair Pat Roberts, that would have preempted state GMO labeling laws and instead, create a national, voluntary regulation, has failed to get the necessary 60 votes to make it to a Senate vote and is currently awaiting further action. Bernard Peterson, his two brothers, and nephew are ninth and 10th generation farmers. They pride themselves on sustainability, innovation, and productivity. As a third-grader, Ellis Shelley was not a typical child. A self-described science nerd, he often would rush home from school and into the barn to check on chicken eggs in the incubator. Soil scientists in the University of Kentucky College of Agriculture, Food and Environment are getting promising results from several treatments that appear to be breaking down the fragipan, a cement-like layer common in many soils in Western and Central Kentucky. PBS News Hour: What looks like an ordinary greenhouse is actually an around-the-clock Ebola vaccine factory. The next time you enjoy a flavorful steak or a delicious chicken breast, the cook isn’t the only one you should thank.  Kentucky’s veterinary diagnostic laboratories also play an important role in ensuring a safe food supply for the region. Variable-rate planting, highly accurate seed placement and instruments that improve seed-soil contact produce more corn with fewer resources for farmer Quint Pottinger. For Chris Kummer, 2013 has been a good year. The Franklin farmer’s 3,000 acres of cropland have produced one of the best bounties of his career. Making jet fuel from tobacco is a technology under study at the Kentucky Tobacco Research & Development Center in Lexington, in partnership with the Lawrence Berkeley National Laboratory and the University of California, Berkeley.